The fun photos are clogging up the phone memory works, which means it’s that time again! Today’s batch of fun photos find themselves in three categories: general fun, car talk, and funny business (names). It’s been a minute since the last fun photo day, (and I’ve finally landed on a new title since the schedule switch) so, lets get started! While in Atlanta recently, I had the good fortune to spend time with my cousin, Molly. She has this on her front door. 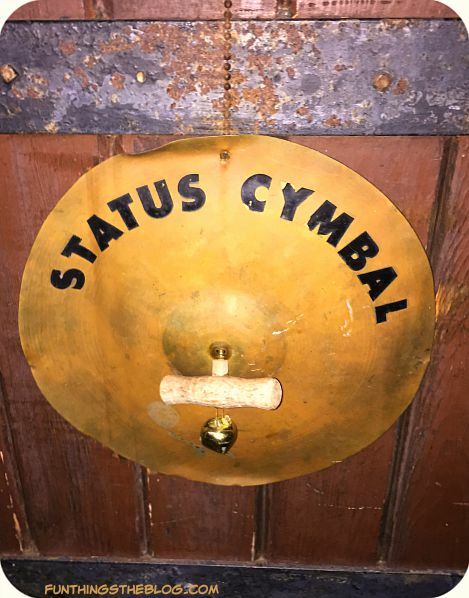 I am in love with everything about this object: the puns, the creativity, the fact that it works so brilliantly as a door knocker… Bravo. Go ahead. Let the above sink in. It’s okay, I’ll give you a minute. At $99.99, it’s like they are paying YOU for this (can you believe it?! ) First-Ever Elvis Jack-o-Lantern Rocks Halloween. The last eight words of that sentence don’t even make sense together. 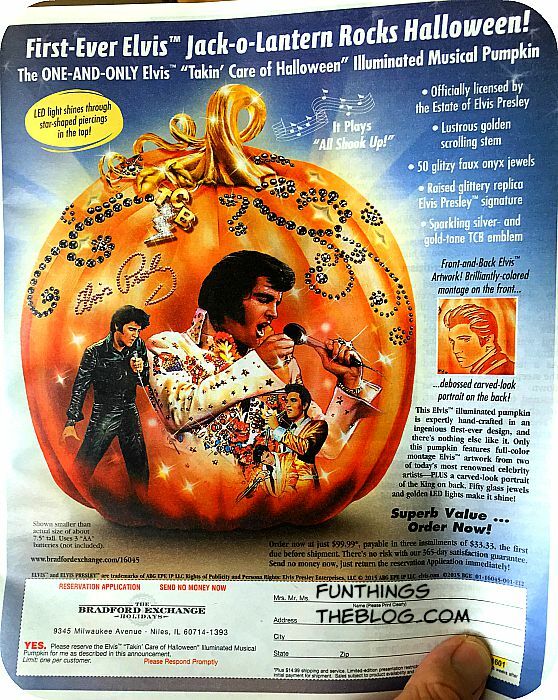 You can have a First-Ever Elvis Jack-o-Lantern and that Jack-o-Lantern can Rock Halloween. But: First-Ever Elvis Jack-o-Lantern Rocks Halloween? Eessh! The lustrous gold flowing stem? The 50 glitzy faux onyx crystals? The blatant disregard for all comma rules? Also, why is it on a pumpkin? Why is it being sold in June? Why have I not bought one sooner? There is an amazing facility near Emory University Hospital called The Hope Lodge. It is a sterile place for out-of-town patients and a caregiver to live if they need to be at the hospital everyday–which you do during the first several weeks after being released from a bone marrow transplant. The place relies on donations and volunteers but is one of the finest facilities I’d every seen. In their huge kitchen/dining area, the shelves in the cabinets are labeled to help the residents keep it organized. 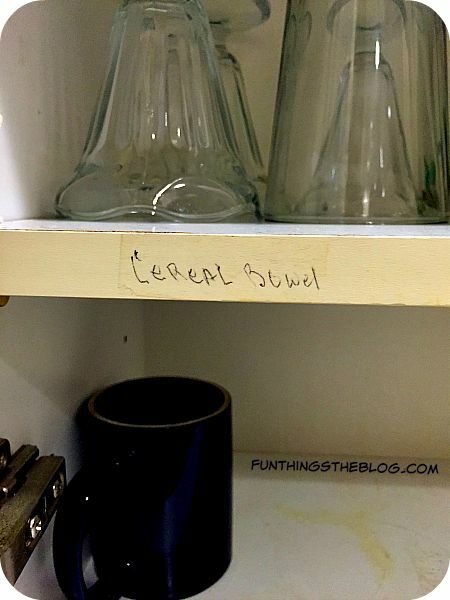 I like that not only is it spelled “Cereal Bowel,” but the fact that there are no cereal bowls (or bowels) on that shelf. 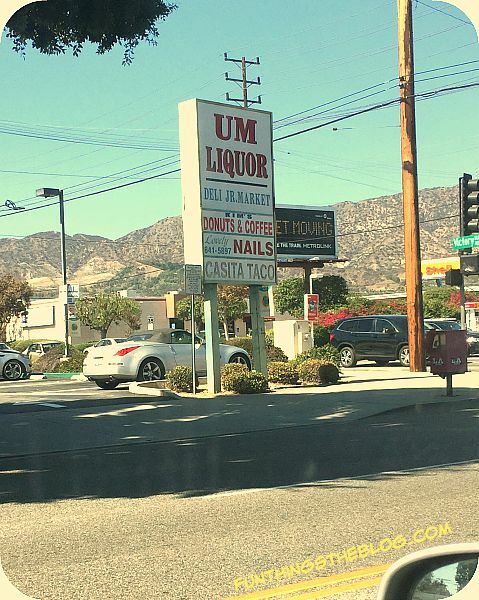 A few weekends ago, Josh and I were running errands and decided to get lunch at a fair-to-middling restaurant in Beverly Hills. The whole place was a concept restaurant based around garlic with some wacky décor, but the best part about it (for me) was the relic from some long-ago business at 55 N. La Cienega. 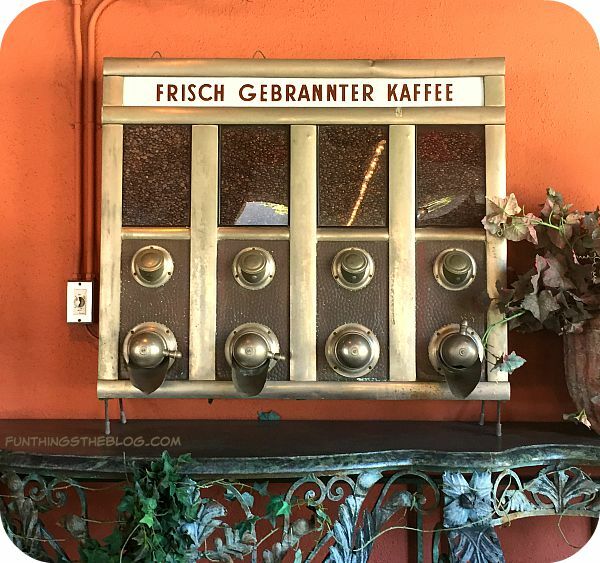 As you can probably deduce, it is “Fresh Baked Coffee” in German. Love the vintage craftsmanship! 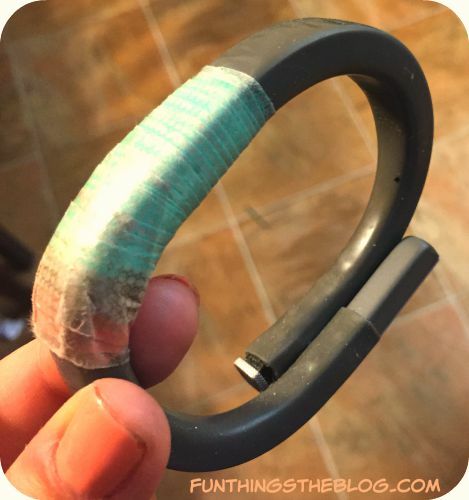 I finally had to retire my UP by Jawbone band! After over two years of almost constant wear, it was falling apart. The plastic was splitting, the functions were failing, and I had trimmed back the edges with cuticle cutters many times. Since I had written about it on the blog, I wanted to put it on the record that it was an amazing product. Josh got me a FitBit for our anniversary to replace the UP band. The technology has changed quite a bit in the last two years in the industry and I went with the FitBit for aesthetics and for the contrast. Maybe one day, I’ll do a side by side comparison. If you aren’t a fan of Arrested Development, then move along. If you are, then you’ll find the above delightful. Delightful, I say! Next, we’ll move onto the photos that are car-centric! 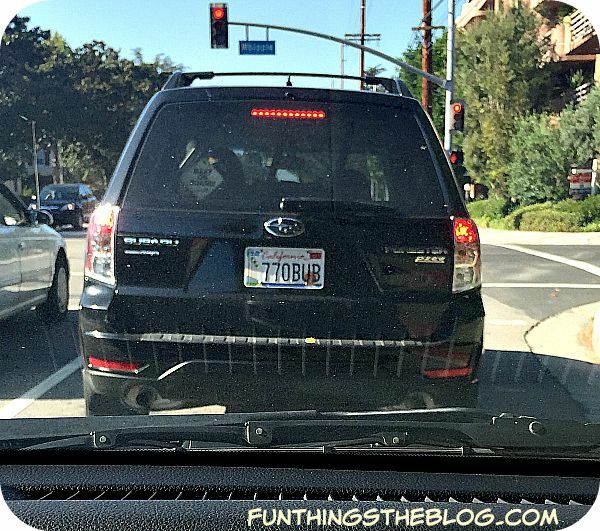 If Coralie grew up in a suburb of Atlanta and then moved to California, and then decided to become the kind of person who would shell out for novelty vanity plates, then this would be hers! She’s just a big fan of the Bub-es. I know that’s a lot of, “ifs” in that situation, but go with it. I want to have earned the right to have bought this sticker. Love me some Neil. And his counterpart, The Black Diamond*. But, like police sirens in music, I’m not a fan of extraneous honking. 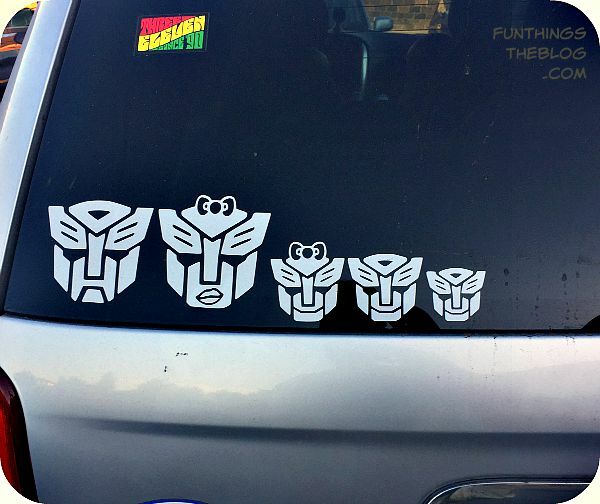 If I passed this car, I would be so conflicted. I would want to honk so bad, but don’t want to distract a driver. Urrrgh! I’m generally not a fan of the stick-families on the back of cars (they always make me think of this video) but this one I can stand behind. I like how the mom’s lips are so, “Umm-hmm” and that the dad looks so unhappy. 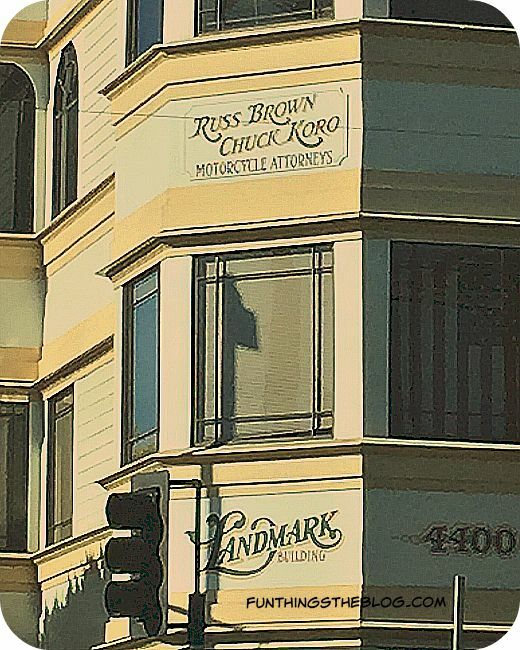 I’m not sure if this counts as a funny bidness name or a car-related funny, but come on?! 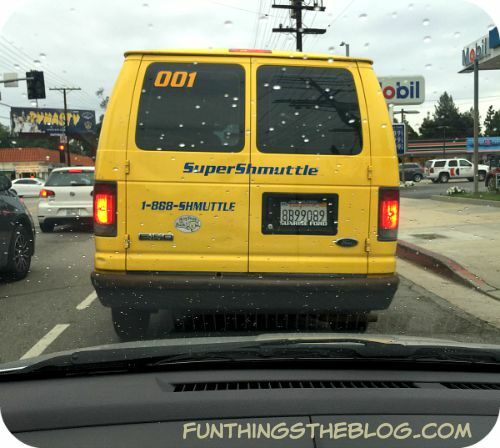 Super Shmuttle?! 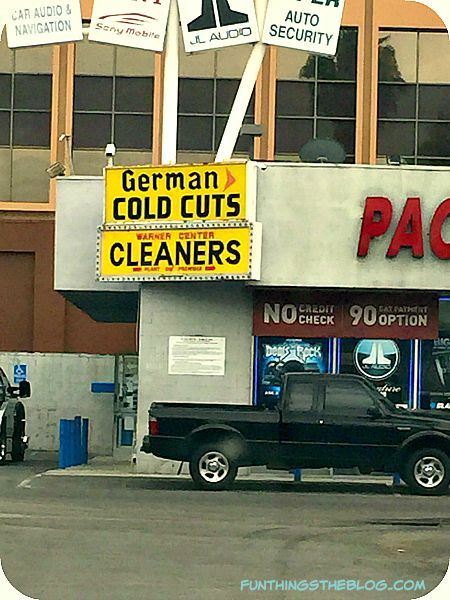 The only thing that could make this better is if they added a “C” and made it “Super Schmuttle”. If I had a dog, and needed them shuttled, and it came down to two equally-rated businesses: the one with a pun in its title wins every time. This photo (taken in February) also proves, yet again, that it does indeed rain Southern California. Man, do we need it right now, doe. Now time for some funny business (names)! Maybe this ad is geared towards men? Maybe this school is geared towards men? Maybe guys also get an inordinate amount of urinary tract infections and I’m being a genderist, but, SERIOUSLY? Did no one notice or care that the school’s acronym and advertising campaign revolved around a really uncomfortable condition? No? No one? 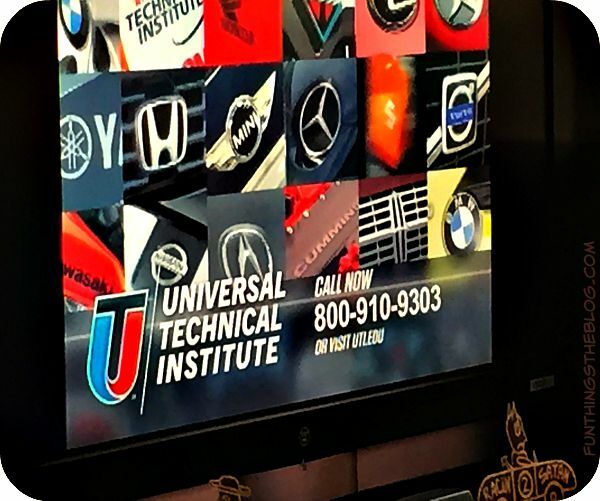 At least only refer to yourselves as, “Universal Technical Institute” exclusively. The whole ad was, “U.T.I. this, and U.T.I. that.” Aye yi yi. And then there is this crazy place. 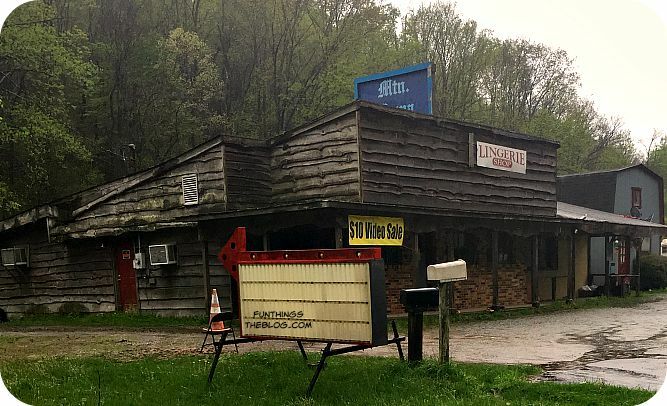 In the mountains of northeast Georgia, around Clayton, there is a building that used to be (if memory serves) and antique store in my youth. As an antique store, the building is quaint and folksy. As an adult store, it is horrifying. *And, for the curious, here is a clip from The Black Diamond. You know. For funsies. Are you a fan of Precious Darling (Elvis)? 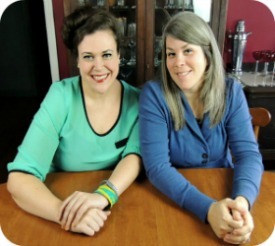 Have you ever suffered from a UTI? As always, let us know what you think in the comments! 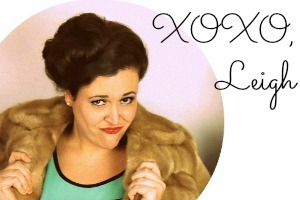 Oh, Leigh, thank you so much for the laughs this morning! Yay! Tuesday laughs are the best! I love that you read the blog. Means the world. Love!